What's Next With David Price on DL? Raul Martinez takes a look at what's next for the Red Sox after David Price's trip to the disabled list. It's official: Boston Red Sox pitcher David Price is headed to the 10-day disabled list. 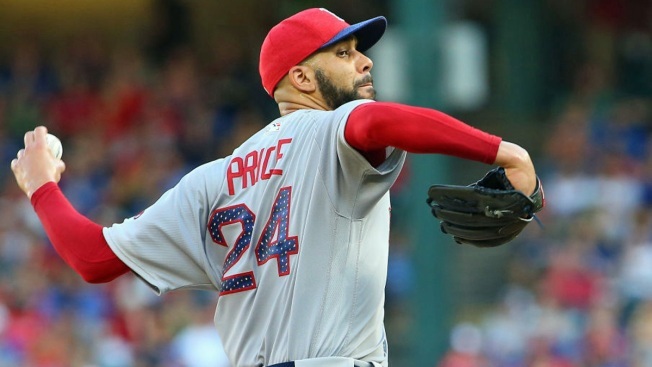 The team issued a press release just before noon on Friday confirming reports that Price would be placed on the DL with left elbow inflammation. The move is retroactive to July 25. The inflammation is in the same elbow, but it's not clear if this is the same injury that led him to miss the first two months of the season or if it's something new. The Boston Globe's Dan Shaughnessy was first to report that Price's elbow was "barking" and wonder if it could lead to a DL stint. Shaughnessy wrote a story earlier this week detailing Price's run-in with Sox TV announcer Dennis Eckersley on the team plane on June 29. That story led to a week of talk radio bashing of Price. Price also made headlines in early June when he yelled at reporters after an 8-0 loss to the New York Yankees. The 31-year-old left-hander signed a seven-year, $217 million contract with the Sox prior to the 2016 season. He won 17 games last year, but his ERA was the highest it had been in more than 10 years and he lost his one playoff start. Since returning from his early-season injury, Price has mostly pitched well. He currently has a 5-3 record and an ERA of 3.82. To fill Price's spot on the roster, the Red Sox recalled left-handed pitcher Robby Scott from Triple-A Pawtucket. Rick Porcello will now start Friday's series-opener against the Kansas City Royals, followed by Eduardo Rodriguez on Saturday.